Whomever came up with the K.I.S.S. principle must not work in the software division at Microsoft who today announced they will be releasing a mobile OS for enterprise devices. This in addition to the existing operating systems. Microsoft will release the new OS for embedded and enterprise devices. The enterprise OS will be based upon Windows Mobile 6.5 and then eventually Windows Phone 7 sometime in 2011. Steve Ballmer announced the release at a launch event for a new Motorola enterprise smartphone. Yes, Motorola still makes smartphones that don’t run Android. “In the next six months we will release a new embedded OS called Windows Embedded Handheld, based on Windows Mobile 6.5 technologies … [and] in the second half of 2011, we will release a version of Windows Embedded Handheld based on Windows Phone 7 technology,” said Ballmer. 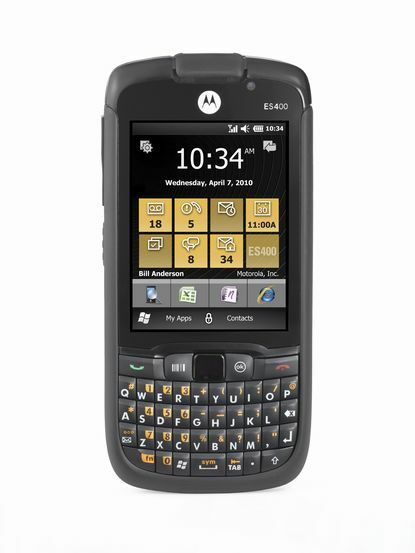 As for the new Motorola phone, the ES400 will be sold exclusively through Sprint’s enterprise channels, so you will not see this on the shelves at your local Sprint store. It’s certainly a good sign for those of us who would like to see Motorola get back into the Windows Phone game. Who wouldn’t want Windows Phone 7 running on Droid X hardware?